Reverse level detached.4 bedrooms, 2 ensuites, 1 family bathroom with shower & toilet. Total of 4 toilets. 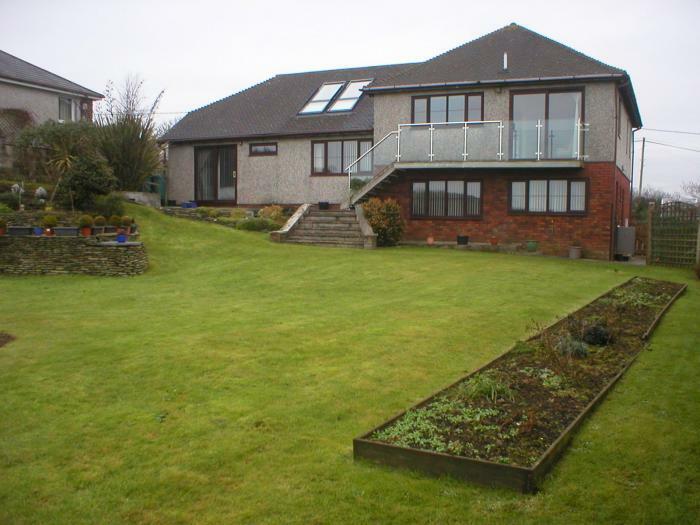 Central heating, good garden with plenty of seating areas, very quiet with amazing views. Bude is a small seaside town on the rugged north cornwall coast sufficiently isolated so that holiday traffic is not a major problem. Excellent beaches and rugged cliff top walks. Many places of interest to visit including typical coastal villages. The countyside around is rural. About Husband 72 and wife 66, very active. Husband plays golf and cycles a little, wife swims and attends Pilates. We have a small Jack Russell dog but arrangements can be made if not allowed.